Having two daughters it is inevitable that sometimes I have to partake in some very girly activities. My two were definitely born with the ‘pink gene’ and whilst I try to steer clear of too much pink, sometimes you just have to give in! So we bought Faith a very pink baking set for Christmas with a rolling pin, spoon, mixing bowl and 3 cutters – a star, princess dress and crown. 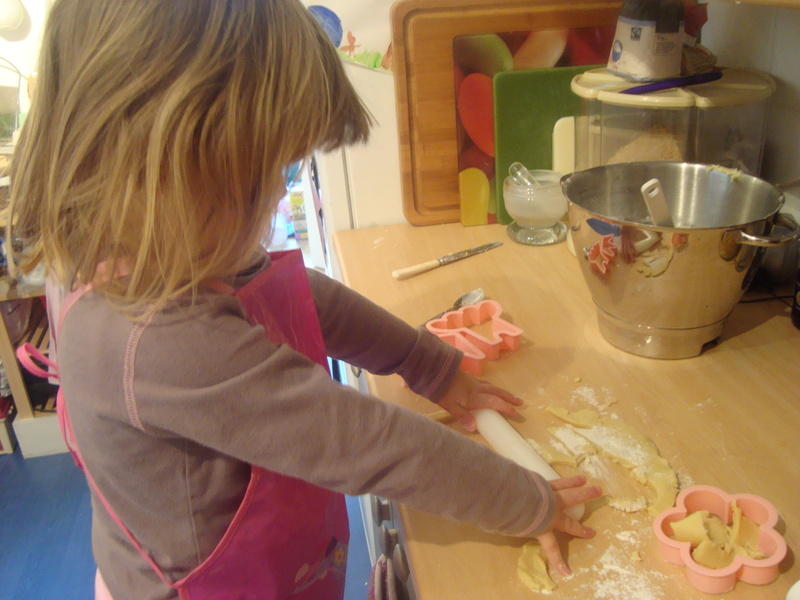 She loves helping out in the kitchen and couldn’t wait to make some of her own biscuits using the set. Cream together the butter and icing sugar until it is well combined and pale. Gradually add the flour and mix well until it forms a stiff dough. Wrap in clingfilm and chill for 30 minutes – 1 hour. Preheat the oven to about 180°C and line a baking tray. Roll out the dough on a floured surface, cut out your shapes and place them on the baking tray. 7. Bake for 12-15 minutes until the biscuits are slightly golden. Leave to cool for 2 minutes then transfer them to a cooling rack to cool completely before decorating. We used royal icing and a whole host of sprinkles, mini chocolate beans and silver and pink balls. Wow – she did a great job! Ack, dying from the cute! she did a great job, they look better than my cookies. Oh my! Princess biscuits ROCK! How cute are these. I bet you had LOTS of fun! Thank for linking up and sharing! 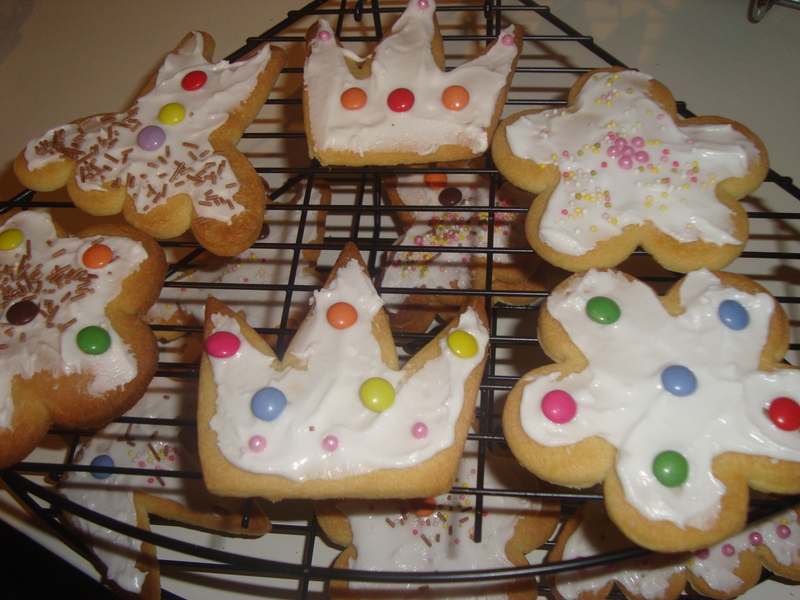 well done Faith – they look yummy!